Grand Hotel Tarija. This hotel is located just two blocks up from the city’s central plaza and 1 block from the city’s market and money exchange houses and shops in a busy downtown area. The reception are staff was very accommodating and open to showing us the many different types and sizes of rooms the hotel offers. They graciously took the time to show us not just 2 or 3 rooms, but nine! and we think that's worth mentioning. 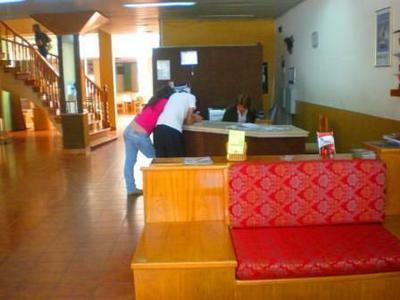 The Grand Hotel Tarija has 3 floors and several dozen rooms. 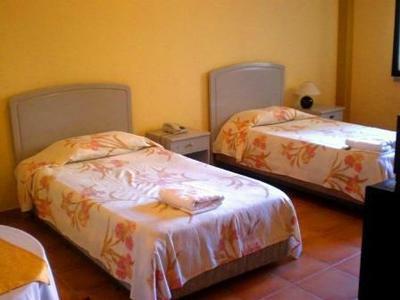 Matrimonial suites have one double bed, single rooms have one single bed, and there are also several rooms that are convenient for families (with a double bed and two singles) or for groups (for example, one has a double bed and three single beds). 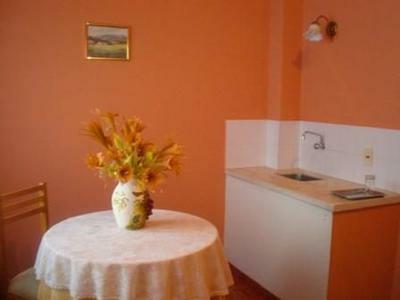 It also has a few rooms that are set up almost like apartments with a small kitchen-type breakfast area (no stove) and a small seating room. All of the rooms were spacious and all have private baths. Most have tile flooring but some have carpets. It’s an older hotel with simple furnishings and offers minibars in some, but not all rooms, and TVs in most. It also has 3 conference rooms and a large dining area just past the reception area. The Prefecture of Tarija has aptly given this hotel 3 stars.